The domesticated rat can be one of the most interesting and lovable pets if they are raised properly and given a suitable home. They are also incredibly intelligent and eccentric, which makes them very entertaining for adults and children alike. One of the greatest things about keeping rats as pets is the personalities that they have. Each rat is a lot different than the next, a trait that people don’t usually expect of smaller animals. 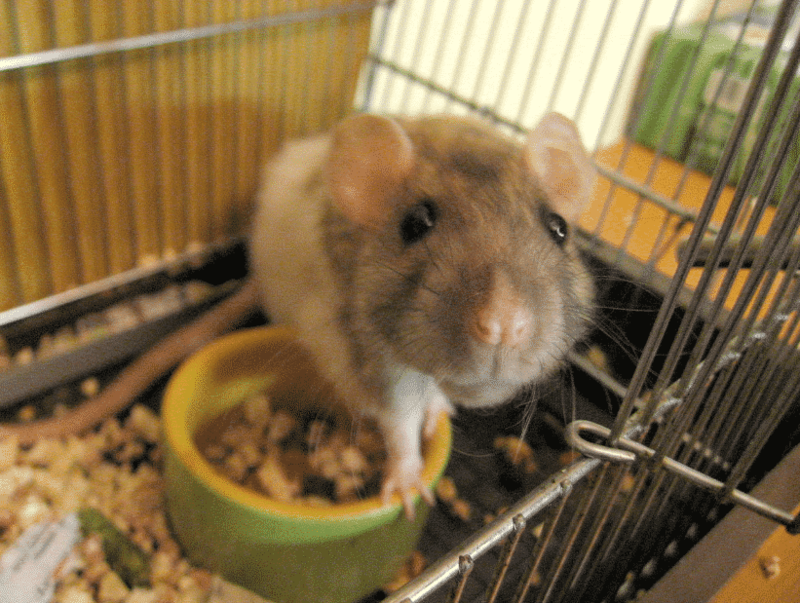 Some rats are shy and sweet, while others are more mischievous and outgoing. All they need for a healthy an interesting life is a pet rat cage which is of good quality, safe and comfortable for rats and convenient for the owner to maintain and clean. The first question that pops to mind when shopping for best cages for rats is: how big should a rat cage be? This depends on the number of rats you would like to have. Of course, think about the spot for the cage in your home and what the maximum size for that spot is. Do you need a small or large rat cage? Many people will purchase a small starter cage for baby rats they intend to buy. Smaller cages are too small for adult rats to live in, but may be temporarily suitable for baby rats. It's important to bear in mind how quickly baby rats grow. Most female rats will need a full adult sized rat cage by the time they are 4-5 months old. Most male rats will need a full sized adult rat cage by the time they are 3-4 months old. Large rodent cages for sale are a good option even for just one baby rat to grow into and get a comfortable home from the start. How big should best rat cages for two rats be? A smaller cage can be suitable for one baby rat and it can come in handy for occasional transport. However, a large cage of minimum 5 cubic feet of space will be adequate for two rats. If you can get even bigger cage and fit it into the designated space in your home, your two lively and quirky rodents will love it. Also consider how accessible the cage is for hanging hammocks, changing water, handling rats and cleaning. It’s always good if a cage comes with shelves and if the cage is larger, wheels also come in as handy feature. It is generally always a better investment to buy a large cage with small bar spacing that will securely hold baby rats, but still provide enough space for your pets to grow into. You will save money in the long run by purchasing a single cage bigger in size and not two rat cages for cheap. Also, one larger cage made of better materials is generally cheaper than two smaller cages made of less expensive materials. We don’t recommend a homemade rat cage unless you are a rat expert and know about possibly dangerous materials and mistakes in cage construction which might lead to your pet getting hurt. You can easily get rat cages for cheap and upgrade in time. Or, better still, get a roomy best chew-proof rat cage from the start and fit it with some play toys to make your pet’s life more interesting. Consider fancy rat cages, as well. They'll bring class to your loving rodent's habitat and to your home alike. For the models we picked as some of the best, read on! Prevue Hendryx features small wire spacing and solid metal ramps and platforms. These make this an ideal cage for rats and other small rodents. This cage has a very practical design which also includes a bottom shelf for storing the best rat food as well as treats and supplies. This product is 31-inch long by 20-1/2-inch wide by 40-inch high with 3/8-inch wire spacing. 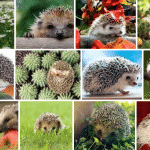 Smaller pets require smaller wire spacing to prevent getting their feet caught. Front door size is 13-inch by 13-inch." Solid metal ramps will also protect little feet, and two spacious platforms give your pet a place to sit and watch your family's activities. The bottom grille is removable and the tray pulls out to make cleaning a breeze. A safety lock keeps your pets from pushing the tray out to escape when you're not using the bottom grill. The large front door and a smaller door in the roof give you plenty of access to your pets and to the cage at cleaning time or to fit the cage with toys and accessories. Rolling casters allow you to move the cage as needed, and a storage shelf under the cage can hold food, cleaning supplies and toys. This product arrives in a box well packed, well sealed, with cardboard corner protectors, and plastic strings which keep everything together nicely. Since the metal is not super sturdy, if the cage arrives with a bent bar, or two, it will be easy to straighten the bent back. Instructions are easy to understand and it takes about 30-45 minutes to put the cage together. Hanging hammocks might get a bit difficult but in general this item could be a lovely home for your pet rat. Kaytee 30 by 18-Inch cage wire locks directly into the base for added security and durability. The latches are made out of chew proof wire and connect directly to the cage wire. Multiple levels provide extra space for pets to climb and play which is excellent as rats are very active and need ample space and playground. The 1/2 " wire spacing prevents escapes so you can be fairly sure your rat will be there in the morning. Deeper base prevents bedding and litter from spilling out of the cage, which the owners will appreciate as there will be less, if any, litter flying around onto the carpet or floor around the cage. This product includes 3 Comfort Shelves, 3 safety ramps and a food dish. Possibly your best rat cage for two rats: they can run around, wrestle, climb, and really enjoy their home. It might take some time to take it apart and clean at first, but as you do it regularly, you’ll get much better at it and it will go faster. You will certainly appreciate the high base. 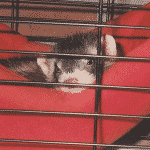 Your pets might still get some of their bedding out of the cage, but not as much as if the base wasn't so high. Overall, this roomy rat home is your best chew-proof rat cage with an easy to clean plastic base that helps keep your pet’s bedding in the cage and not scattered on the floor, 3 levels and 3 ramps is a gem among Kaytee rat cages and for the price you do get a bang for your buck. Kaytee 24 by 12-Inch is another, slightly smaller unit in the Kaytee rat cages product range at a great price. This product will provide great living space for your rowdy pet rats to roam. It comes complete with a comfort shelf, safety ramp, and a food dish. The deep plastic base prevents bedding from scattering around to a great extent. You still may find some litter around the cage, but definitely much less than if the cage didn’t have such a deep base. Since the base is plastic, do put some non-stringy fabric, shredded paper or paper towels to protect rat’s feet and make it cozier for the pet to walk, play and sleep. The wire top allows for easy viewing and great ventilation while narrow 1/2" spaced wire bars prevent small pets from escaping. The chew proof latches help keep the little rascals in their happy home, too. The shape of the cage will be perfect if you have limited space but still want a roomy home for your beloved rats. It’s roomy enough for one pet with additional shelf as extra living and feeding space. Being compact size, this unit will be great for transport as it will easily fit your car. The ramp is detachable so if your pet can easily climb to the shelf to feed or play, you can take out the ramp completely and get even more space. The shelf and the food bowl holder are nice features since it gives your rodent a place to climb on and a place to hide under. Critter Nation is a sturdy, high quality home for rats, ferrets, sugar gliders, hedgehogs, and other small pets. This unit is easily maneuverable with locking casters to keep it in place. The stand raises the cage to a comfortable height and providing a convenient area for storage. This concept is both functional and will look good in your home. The included dual-locking door latches that provide a secure, easy one-handed operation are a handy feature. The happy feet ramp covers will protect your pets' feet and provide traction and no-slip surface for moving and playing between levels. The 1/2" horizontal wire spacing allows your rats to climb and explore in a safe and secure environment. Less-Mess feature and easily removable height adjustable shelves with removable plastic tray for easy cleaning are also convenient features. The shelves have three height adjustments, which gives you plenty of control over where accessories can fit. You can attach hammocks and other things to the bottom of the trays or add additional lava ledges and perches for vertical climbing. Kaytee My First Home Tank Topper converts any 10-gallon tank into a multi-level high rise for small furry pets. While it may be a great home for hamsters, gerbils, mice, or other small furry pets it is NOT the ideal home for rats. Rats have very sensitive respiratory systems, making respiratory illness or failure much more common in a glass tank, even if it’s a 50 gallon, let alone 10 gallon. Tanks have higher levels of humidity than the environment around it because of the water, urine, food, and respiration of the rats. As humidity builds, the rats will become uncomfortable and sickly. The humidity can cause your rats to develop bacterial lung and respiratory system infections, as well as pneumonia. This couples with the rise in temperature from the rats’ bodies to create a very uncomfortable living environment. So, although this top tank attachment solution seams practical and includes comfort shelves, safety ramps, food dish, water bottle and even little brick house hideout we do not recommend it for rats. Living World Deluxe Habitat provides everything you need for safely housing bigger rats as the space between bars is more than half an inch. This hybrid unit consists of an upper wire frame and a plastic bottom base. It provides a safe, well ventilated and comfortable place for your pet. The wire cage is elegantly styled, with an arcing red wire top and white wire sides. The wire top opens easily in 2 separate parts for easy access inside the cage. There is also a wire door at the front for additional accessibility. Living World Deluxe Habitat includes a balcony with an access ramp and a tip-proof food dish that secures to the balcony floor. There's also a hideaway space under the balcony to provide your small pet with a quiet and secure hiding place. It comes with a drip-proof water bottle and a hay guard, both of which are located outside the cage to save interior space and allow easy maintenance access. The cage assembles quickly using eight easy-to-use plastic clips and no tools are required. Ferret Nation comes with three ramps and 'happy feet' ramp covers. There are also two resting shelves, and two easy-to-remove base pans for easy cleaning. This unit includes a removable plastic tray for easy cleaning and is height adjustable so you can adapt your Ferret Nation cage to your rats’ needs. This unit has several attaching points for adding tubes, toys and other accessories. The wide shelf and full-width plastic pan floor provide a huge play area for your pets and help prevent accidental falls. The dual-locking door latches create a secure environment and allow easy handling with one hand. The stand is easily maneuverable with locking casters for security and the cage can be easily raised to the height you prefer in order to create additional handy storage area.